They know the road to recovery is long and expensive. Still, those who love Sheila Modglin – from family members and friends to customers and youths helped by the art program she created – are amazed both by the progress she’s made while recovering at the hospital and the outpouring of support at a recent fundraiser. 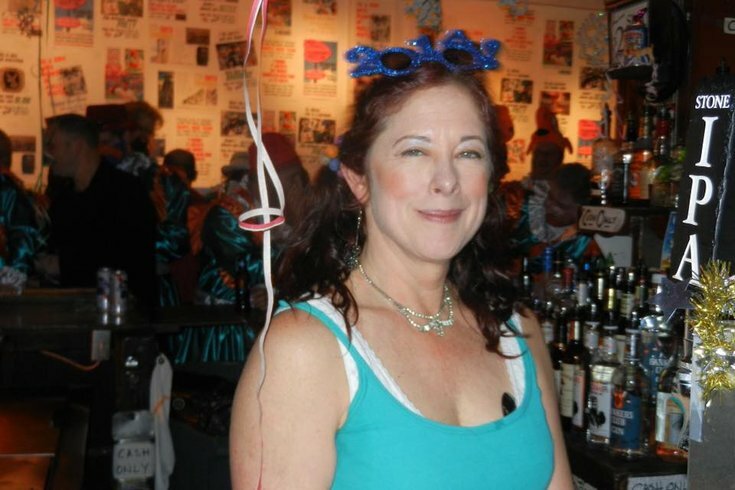 Modglin, the beloved Dirty Franks bartender and Sunshine Arts Center founder, remains at Albert Einstein Medical Center after she was struck by a vehicle along Lincoln Drive in Mt. Airy on February 8. After finishing her shift on the night of the Eagles parade, she took an Uber to the area near the Northwest Philadelphia home she was housesitting at the time. Struck while crossing the street, the 56-year-old suffered brain injuries, a damaged pelvis, fractured legs and other injuries. The driver remained at the scene. Earlier this week, her brother Rick reported that she’d emerged from her medically induced coma in late February. While she had been moved from Bryn Mawr Rehab Hospital in Malvern in subsequent days, a setback prompted her return to Einstein in early March. Concerns about a potential seizure have been allayed, but Sheila remained there on Thursday. Despite numerous procedures still to come, Rick Modglin is happy with the signs of progress he’s seen. “She’s looking at me right now,” he shared on the phone from the hospital. While Sheila can’t yet talk, Rick said she’s aware that something bad happened to her and – Sheila being Sheila – is upset that she can’t just walk out of the hospital and resume a normal life. “She’s frustrated as hell. She’s such a fighter,” he shared. "(Tuesday) was a great day with therapy, but it’s still hard for her. Her brain is learning how to concentrate again. That fight was evident when Sheila apparently, in the middle of the night Monday, took the safety mittens off her hands, and removed the Velcro cast from her injured leg, throwing it across the room. 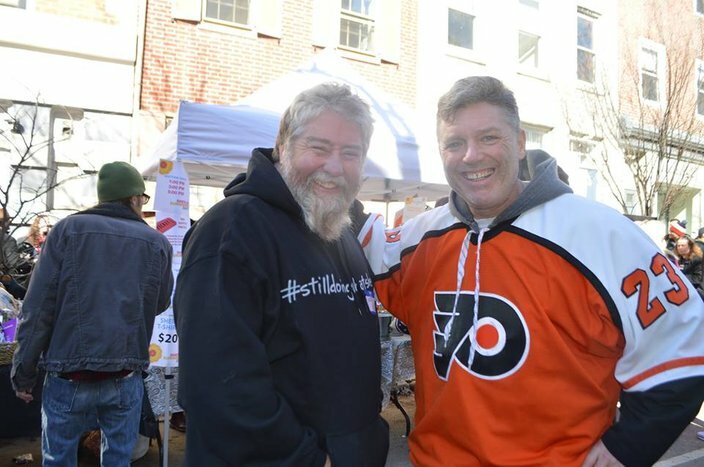 Sheila Modglin's brother Rick (left) said the turnout at a March 4 benefit for his injured sister was inspiring. Rick got choked up by what he saw at the March 4 fundraiser held at Dirty Franks, the legendary bar at 13th and Pine streets in Center City. He estimated that between 2,000 and 3,000 people stopped by to show much-appreciated support. “It was a beautiful day. The sun was shining. It was incredible,” he said. “The sphere of love is so big that it’s mind-boggling. The people she knows is so far and wide, it’s crazy. The amount of money raised to offset medical expenses “was a drop in the bucket for what she’ll need, but every little bit helps,” Rick said. Sheila’s friend network is already talking about future fundraisers to help with that, as a lack of insurance, and limited Medicare coverage, has impacted future care options.